six + 3 = Required Please enter the correct value. Uber is a hot topic on Wall Street with a potential IPO coming soon. The potential IPO would give investors an opportunity to buy Uber stock and invest in a company that has seen rapid revenue growth while it disrupts an industry and changes the way businesspeople travel. Will Uber Stock Debut in 2017? 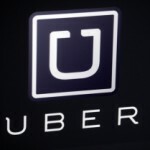 Will the Uber IPO Date Be Delayed by European Legal Troubles? Will Uber stock hit the market in 2017? That's the question we're being asked heading into the final stretch of 2016, with investors already looking forward to new opportunities available next year. Continued legal issues in Europe could lead to more delays for the Uber IPO date. No official Uber IPO date has been set, but the company is poised for an initial public offering as soon as 2016 with a valuation currently north of $50 billion. During the first part of 2015, investors expected that an Uber IPO would be the year's hottest tech offering. The consensus view is that an Uber IPO is in the offing - just not yet. Uber, the ride-hailing app wreaking havoc on the cab industry, was reported by The New York Times late last week as pursuing purchase of Nokia Corporation's (NYSE: NOK) Here mapping service. The privately held Uber is currently valued at $41.2 billion and is pursuing another $2.8 billion in funding. The Times article placed Uber's bid for the Here technology as nearing $3.0 billion. The Uber IPO will be one of the most hyped initial public offerings in history when the ride-hailing company comes to market - which could be this year. A $1.2 billion round of funding in December valued Uber at more than $41 billion. It operates in more than 250 cities across 55 countries. With that most recent funding round, Uber has now raised eight times as much capital as its closest competitor Lyft Inc. But before an Uber IPO can occur, the company has some major issues it must fix. Uber CEO Travis Kalanick announced Dec. 4 the company raised $1.2 billion in a recent round of funding. Multiple reports indicate Uber is now valued at $40 billion. Unfortunately for investors, that also means there will be another delay for the Uber IPO. Rumors of an Uber IPO heated up earlier this summer after the company raised $1.2 billion in a funding round that valued the ride-sharing company at roughly $18.2 billion. Since then, however, the conversation regarding Uber has dealt mostly with its nasty competition with rival Lyft. 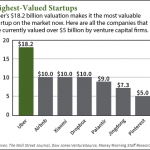 That enormous influx of cash makes Uber the most valuable tech startup on the market right now, and by a significant margin. Too many people view taxi service as nothing more than a pedestrian, everyday type of business.